Explore the culinary uses, biology, and industry surrounding the native seaweeds of Maine with an experienced harvester. We offer a variety of “Seaweed Appreciation” classes for School Groups, Teachers, Scientists, Adult-Ed Programs, Cooking Schools, Restaurants, and more. We’ll travel to you, seaweed in tow, and tailor a presentation according to the interests of your group. Contact us for more information. 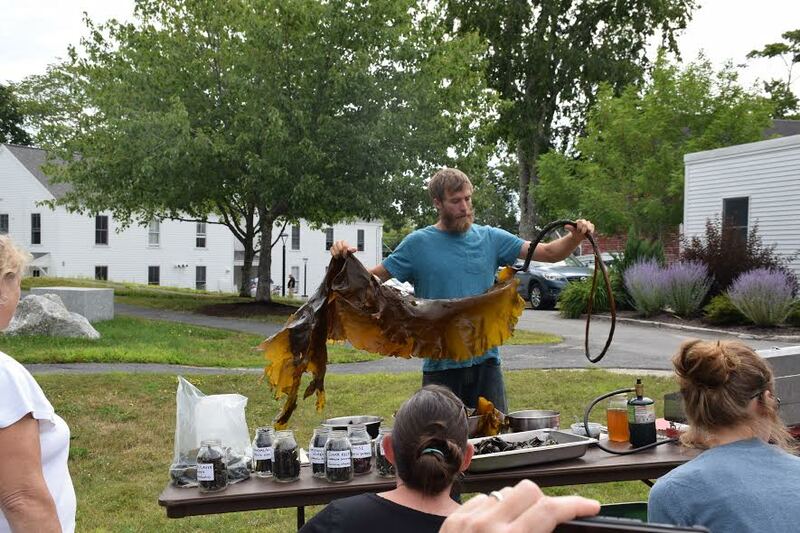 Learn about the biology, culinary uses, and local industry surrounding the native seaweeds of Maine from an experienced harvester. Sample a few sea vegetable preparations, and learn about ways to incorporate this unique food group into your diet. We will discuss the distinguishing features of different species of seaweed, how they are harvested, and their ecological, economic, and culinary importance. Explore the culinary possibilities of Maine’s native sea vegetables with an experienced harvester. Sample and prepare several sea vegetable recipes, including seaweed salad, toasted dulse chips, kelp noodles, and Irish Moss pudding, and learn how to incorporate this unique food group into your diet. We will discuss the distinguishing features of different seaweeds, how they are harvested, and their culinary, ecological, and economic importance. Explore the intersection of medicinal and culinary uses of sea vegetables with the herbalist in mind. Learn about their traditional and modern uses, biology and best harvest practices, and meet 8 of the most abundant and commonly collected seaweeds in the North Atlantic. In addition to their outstanding nutritional profile, seaweeds are specifically indicated for thyroid support, protection from radiation, chelation of heavy metals, the treatment and prevention of cancer, and internal and external viral infections. Micah Woodcock is the owner/operator of Atlantic Holdfast Seaweed Company, a small business working to sustainably hand-harvest sea vegetables in Penobscot Bay, ME, since 2010. Our harvesting operation is based on a remote island 7 miles offshore, where the strong currents, active surf, and full exposure to the open ocean have allowed these seaweeds to thrive for millennia.